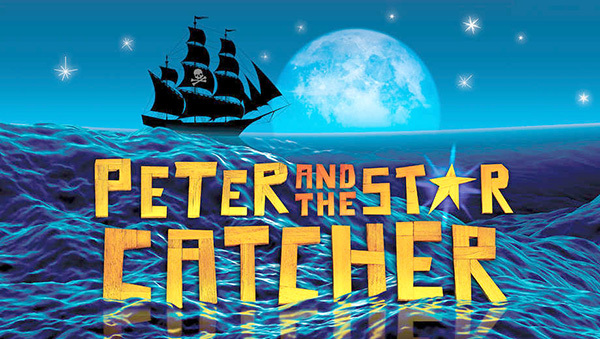 Lamplighter Theatre presents “Peter and The Starcatcher,” the musical swashbuckling prequel to “Peter Pan” that reveals the origin story of “the boy who wouldn’t grow up.” The Lamplighter’s cast of 12 will portray over 100 characters, including pirates, orphans, secret agents, a queen and more. Fridays and Saturdays at 8 p.m. and Sundays at 2 p.m. at Lamplighters Community Theatre, 5915 Severin Drive, La Mesa. Tickets are $23 adults, and $20 for students, seniors and active military; available at lamplighterslamesa.com. Now in its 25th year, the Water Conservation Garden at Cuyamaca College’s annual event is expected to draw up to 5,000 visitors to the family-friendly event featuring landscape design consultations, butterfly releases, Kumeyaay fire-making and artifacts demonstrations, and more. 9 a.m. at the Water Conservation Garden at Cuyamaca College, 12122 Cuyamaca College Drive West, El Cajon. Free and open to all ages. 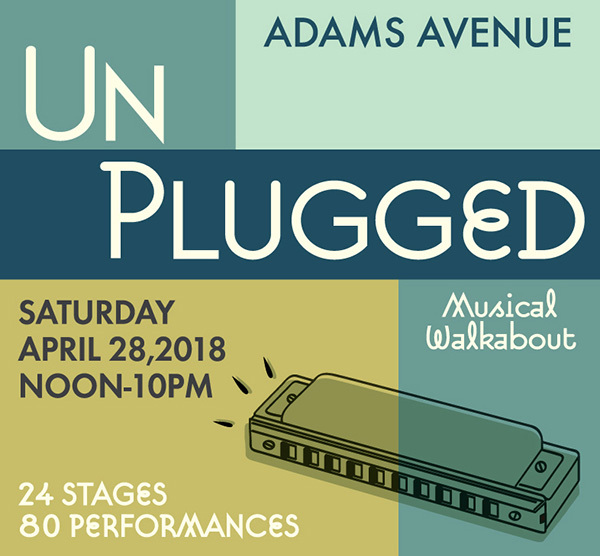 The seventh annual Adams Avenue Unplugged will feature 60 artists performing on 24 stages along Adams Avenue, from University Heights through Normal Heights to Kensington. The 2018 headliners are Little Feat vocalists/guitarists Paul Barrere and Fred Tackett. They will perform one set on Saturday evening in the intimate sanctuary of the Normal Heights Methodist Church. Tickets for this performance are $15 and available online. Also performing will be Gregory Page, Sara Petite Band, Stephen El Rey, Nina Francis, Blue Creek Band, and Shawn Rohlf Band. These performers and many more will perform free multiple sets at participating restaurants, bars, and coffeehouses along Adams Avenue. In addition to the great music, there will be a beer garden. Tickets for the beer garden will be $19, which will include four 14-ounce beers and a plate of food from City Tacos. For the lineup, schedule, concert tickets for Paul Barrere and Fred Tackett, beer garden tickets, and further information, visit bit.ly/2Iin6g3. 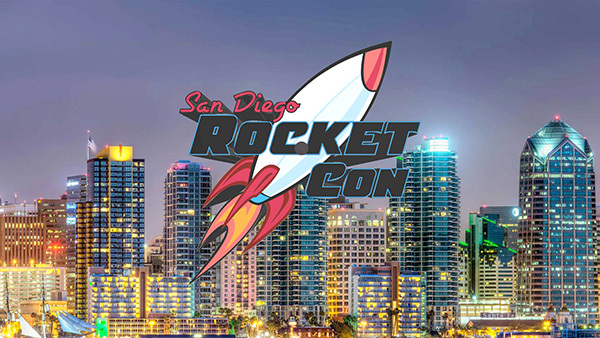 Rocket Con is San Diego’s newest comic, toy, collectibles, artist and cosplay convention. Disney cover artist Jonathan Young, Killer Bunnies creator Jeffrey Bellinger and more will be in attendance, as well as comic book and toy dealers and other collectibles experts. 10 a.m. at the Scottish Rite Event Center, 1895 Camino Del Rio South, San Diego. Tickets for the all ages event cost $5–10; available at sdrocketcon.com. Candidates for district attorney and sheriff will speak on law and order in San Diego County. This event will be moderated by Voice of San Diego’s Scott Lewis. 11 a.m.–12:30 p.m. at Temple Emanu-El, 6299 Capri Drive. Dirty Pennies is a groove rock band fusing blues, soul, old school rock and the San Diego garage sound. 9 p.m. at The Riviera Supper Club & Turquoise Room, 7777 University Ave., La Mesa. Find an array of trees, shrubs, bedding plants, veggies, herbs, cacti, succulents and more. This year includes a vintage garden shed sale with tools, accessories, pots and garden books. Plant donations and used garden items for the vintage garden shed sale welcomed. 9 a.m.- 4 p.m. at St. Andrew’s Episcopal Church, 4816 Glen St., La Mesa. Visit lamesabeautiful.org. Andrew Parker Davis is a San Diego-based musician. He performs a variety of Sinatra and Bob Dylan covers, along with pop hits like “Summertime,” “Somewhere Over the Rainbow,” “(Sittin’ On) The Dock of the Bay” and “Killing Me Softly.” No cover charge. Wine by the glass, cheese & crackers and dessert available for sale. Seating is on a first-come, first-served basis in our intimate back room. 7- 10 p.m. at San Pasqual Winery, 8364 La Mesa Blvd. 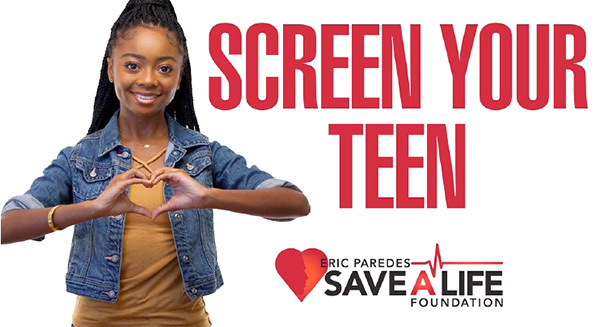 The Eric Paredes Save A Life Foundation provides free heart screenings to youth, ages 12–25, in order to detect heart conditions that can lead to sudden cardiac arrest. The foundation is hosing a free heart screening 9 a.m.–3 p.m. at Patrick Henry High School, 6702 Wandermere Drive. Participants can register for the free screening at EPSaveALIfe.org, where they will download a screening packet to bring to the event. Learn to paint an acrylic painting of “Poppies” on an 11-by-14-inch canvas. No experience necessary. You will be guided by an instructor. All materials and snacks provided. Bring your own wine if you like. 6-8:30 p.m. at Nainsook Framing + Art, 8130 La Mesa Blvd. $35 per person. Visit nainsookframing.com. 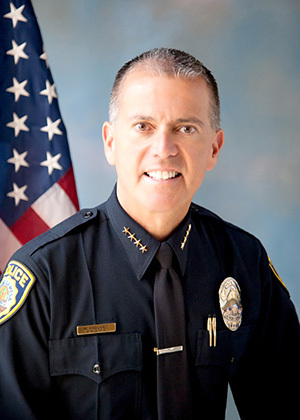 The La Mesa Chamber of Commerce is hosting a breakfast meeting with La Mesa Police Chief Walt Vasquez. The public is invited to attend. 7:30-9 a.m. at Marie Callender’s, 6950 Alvarado Road. La Mesa Chamber members $15 per person, general public $20 per person. Make reservations at lamesachamber.com or call 619-465-7700. 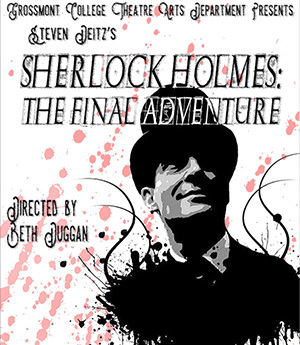 Grossmont College presents a play about the world’s most famous detective. Sherlock Holmes and his sidekick Watson are on the case when the King of Bohemia is blackmailed and caught up with a famous opera singer. May 10, 11, 12, 17, 18 and 19 at 7:30 p.m., and special matinee performances on May 12 and 19 at 2 p.m. at the Grossmont College Stagehouse Theatre, 8800 Grossmont College Drive, El Cajon. Tickets are $10–$50; available at bit.ly/2ymyrcU. Learn about the unique aspects of parent loss, identify skills to assist in coping with grief and discover a sense of hope as Mother’s and Father’s Day approach. Event led by Kelly Engleson, a Sharp HospiceCare Bereavement Counselor. 1-2 p.m. at the Peninsula Family YMCA, 4390 Valeta. Registration required. Call 1-800-827-4277 or sharp.com/classes. San Diego’s festival celebrating all things Cajun. Blues, zydeco, salsa, swing, NOLA jazz, country and more will be performed on seven stages over four days — over 100 music acts. Food vendors will provide authentic Cajun and Southern food, including over 10,000 pounds of crawfish. Music starts at 6 p.m. Thursday; 4 p.m. Friday; 11 a.m. Saturday and Sunday at Spanish Landing Park, 3900 North Harbor Drive, San Diego. 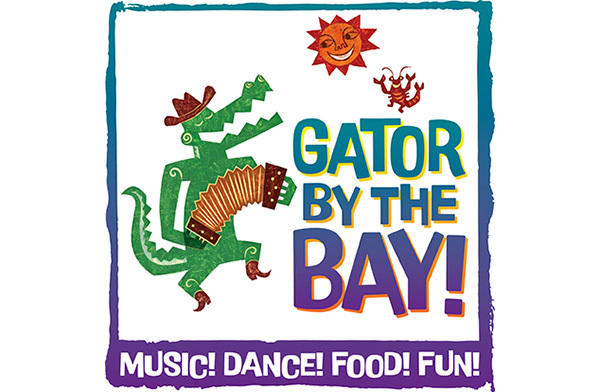 Ticket passes range $20–200, depending on number of days in pass and package; available at gatorbythebay.com. Fair includes health screenings, prescription consultation, fitness demonstrations and balance screenings. Visit with exhibitors and educators on topics such as fire safety, dementia support, volunteer opportunities and more. 10 a.m.-1 p.m. at the La Mesa Community Center, 4975 Memorial Drive, La Mesa. Free. Call 619-740-4214. The Heartland Coin Club of El Cajon hosts a coin show featuring 30 dealers who will present U.S. and foreign coins, currency and related numismatic items for sale. A Coins FO Kids Corner will feature information about coin collecting, plus free and discounted items for youth interested in numismatics. 10 a.m.–4 p.m. at the Cunnane Social Center at the Guardian Angels Church, 9310 Dalehurst Road, Santee. For more information, call John Weiss at 619-448-8702. 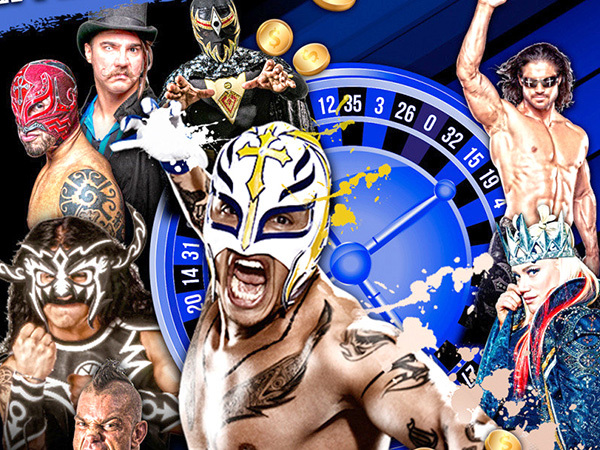 Join celebrity wrestlers Rey Mysterio, John Morrisson, Taya, Brian Cage and more for an action-packed night of Luche Libre wrestling. 8 p.m. in the Live & Up Close Theatre at Sycuan Casino, 5469 Casino Way, El Cajon. Tickets are $29–$49; available at Sycuan.com. Must be 21 and up. 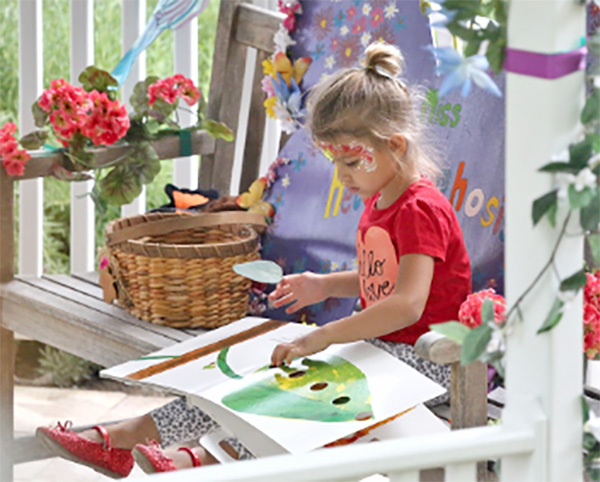 Join the Children’s Nature Retreat Foundation for an elegant evening to help support programs that enrich the lives of children and families. The evening includes a cocktail reception and live and silent auctions. Disco attire encouraged. 6 p.m. at 1775 East Mission Bay Drive. $200 per person. Visit childrensnatureretreat.org or call 619-320-4942. Please join us for an Artist Reception “Escapes.” View new local art and meet the artists. The show includes a variety of art such as pottery, woodworking, acrylic, oil, watercolor and more. Wine and cheese will be served. This event is open to the public. 6-8 p.m. at Nainsook Framing + Art, 8130 La Mesa Blvd. Visit nainsookframing.com. Jim Earp is a San Diego-based fingerstyle guitarist. He performs original material in a Hawaiian-slack-key-meets-Celtic guitar vein — in addition to singing a host of covers from The Police to ’70s folk-rock ala Neil Young and James Taylor. No cover charge. Wine by the glass, cheese & crackers and dessert available for sale. Seating is on a first-come, first-served basis in our intimate back room. 7-10 p.m. at San Pasqual Winery, 8364 La Mesa Blvd. The La Mesa Chamber of Commerce invites the public to join them for great food and good conversation hosted by EDCO. EDCO is a family-owned and locally operated waste collection and recycling company. The Chamber will host a raffle throughout the evening. Bring your business cards while you mix and mingle. 5:30-7 p.m. at BJ’s Restaurant and Brewhouse at 5500 Grossmont Center Drive, La Mesa. $10 per person, $15 at door. RSVP to rsvp@lamesachamber.com or call 619-465-7700×2. Lions Tigers & Bears’ annual springtime fundraiser includes al fresco dining in an idyllic country setting, live entertainment and the chance to win auction items all while in the company of the sanctuary’s animals. Event is family-friendly. 3-7 p.m. at 24402 Martin Way, Alpine, 91901. $120, children 12 and under $45. Call 619-659-8078 to purchase tickets. In this two-hour session, bring a favorite photo copied in black and white and learn how to enhance and collage your photo. No experience necessary. 6-8 p.m. at Nainsook Framing + Art, 8130 La Mesa Blvd. $40 per person. Bring a friend and each will get a $10 discount, special for this class only. Visit nainsookframing.com or call 619-303-8060.